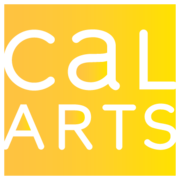 The California Institute of the Arts (CalArts) has earned an international reputation as the leading college of the visual and performing arts in the United States, and was recently ranked as America’s top college for students in the arts by Newsweek/The Daily Beast. Offering rigorous undergraduate and graduate degree programs through six schools—Art, Critical Studies, Dance, Film/Video, Music, and Theater—CalArts has championed creative excellence, critical reflection, and the development of new forms and expressions. The Modern Music Technologist via Kadenze Self paced No reviews yet. Game Design Document: Define the Art & Concepts via Coursera 2-4 hours a week , 7 weeks long 2-4 hours a week , 7 weeks long 27th May, 2019 No reviews yet. 21st Oct, 2013 No reviews yet. 4th Apr, 2016 No reviews yet.